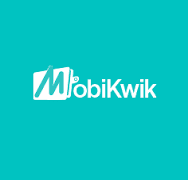 Mobikwik Add 1408 and get 1508 offer : Mobikwik is offering 1508 wallet balance on adding money Rs 1408.Mobikwik has officially declared this offer.You can use mobikwik wallet balance for recharge or transfer to Bank.Offer is valid for Both New and old users. 1.First Download Mobikwik app From Google PlayStore. 4.Enter promo code FREEDOM100 under I HAVE PROMO Code field. 5.Awesome!Now you can see your 100 extra wallet balance. 1.Offer is available on Mobikwik app and 1time per user,per card.Valid for New and old users both. 2.Offer valid till 15 august 2015. 3.Offer is valid on transaction Done via Debit/Credit Card.Not valid on Transaction with Net Banking or Virtual Cards.